Many homeschooling families want their children to learn Spanish but have no idea where to start. 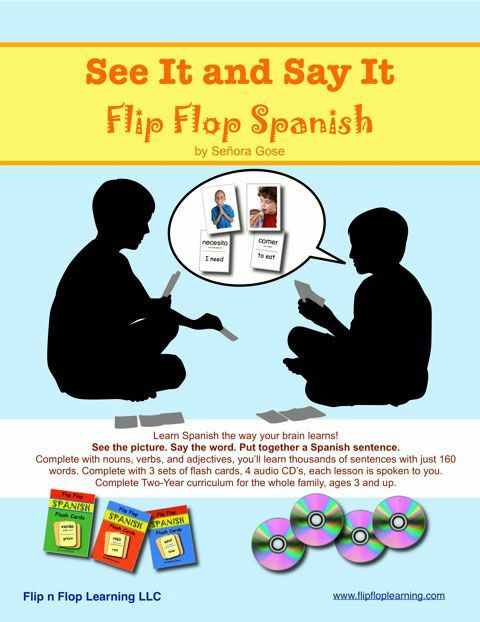 With See It and Say It Flip Flop Spanish, Señora Gose has created a program that requires nothing more of parents than to slip some pages into a binder and put a CD into a CD player. 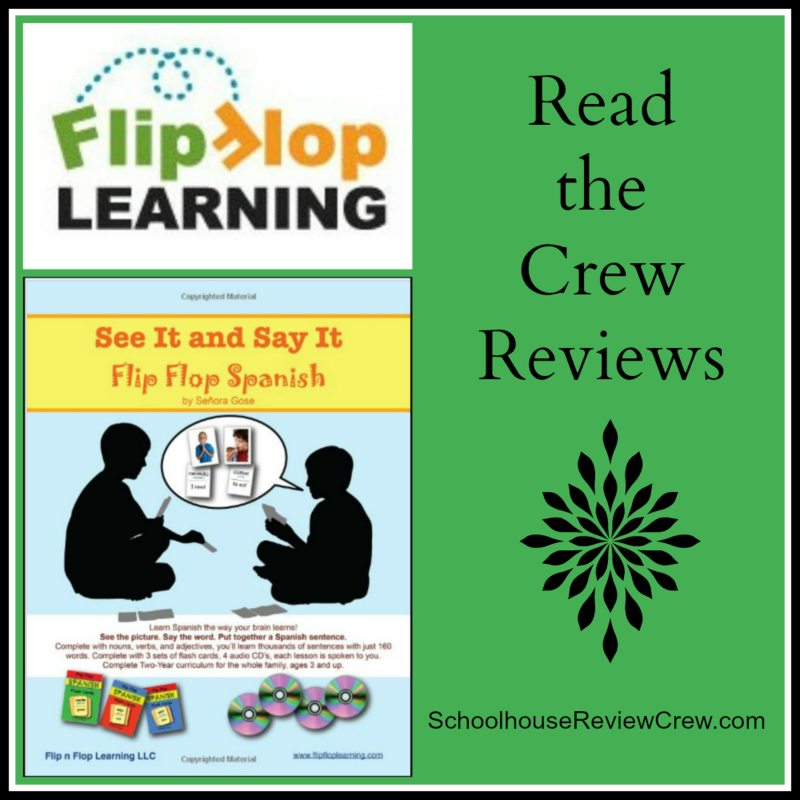 By learning only 160 Spanish words, Flip Flop Spanish teaches students thousands of sentences over the course of a two-year curriculum. Appropriate for family members ages 3 and up, this complete Spanish program sells for $99.95.